When you first get started as a yoga teacher you will likely be consistently soaking up new knowledge and enjoying new experiences on the mat. As you continue to teach, you may begin to feel as though there isn't much more to learn, or very many new things to try. If you do start to feel this way then you may find that your motivation and enthusiasm for your own yoga practice starts to lessen. This can be incredibly disheartening, and could even begin to affect the authenticity with which you teach. Today I want to share some advice that will help you to continue to evolve as both a yoga teacher and as a student of yoga. I strongly encourage you to embrace the concepts that we are about to explore, and to make them a part of your approach to teaching. As a side-note, I just want to say that it is particularly important to make the extra effort to do this if you only teach private sessions. When you teach outside of a studio on a one to one basis, you'll be missing out on the motivation and inspiration that interacting and communicating with other yoga teachers on a daily basis will bring! When you teach yoga in a studio then you will get used to seeing the same regulars come along to your classes, as well as just seeing people around the studio who are there for other classes. Making the extra effort to get to know your students – and the rest of these people – in a meaningful way is good for you, good for them, and good for the studio! Getting to know all of your students, and talking to them beyond a ‘hey, how are you? ', will show them that you are interested in building a relationship, and will also enable you to better serve them as a yoga teacher. People are much more likely to open up to your classes, and to commit to progress, when they feel as though they can trust you as a person. This helps you to evolve as a yoga teacher because you are constantly learning new things about your students and about the way that they learn. Trust me, you will be endlessly inspired by the different experiences of those who come to your classes! Keeping your classes creative and coming up with new sequences regularly is a great way to continue evolving as a yoga teacher. This is something that I talk more in depth about in a previous article, and you can click here now to check that out! When you first start out as a yoga teacher then you might find that you have a written plan for each of your lessons. As you progress in your career it can start to feel more natural to let your instincts guide each session. Although, that's not to say that you must ever abandon written lesson plans if you continue to find them useful. Whether you are working from a lesson plan or not, always try to incorporate new ideas into your lessons, and always make sure that you are challenging your students. As a yoga teacher, you are responsible for guiding your students through their own progression, but someone should also always be guiding you through yours! Finding yourself a mentor that you can always look to as a source of inspiration is an amazing way to continue your own evolution as a teacher. As well as attending the lessons of this person, you can also reach out to them to seek individual guidance. Discussing your ideas with a more well-established yoga teacher will be great for your personal development. You will likely know which areas of your yoga practice could use improvement, and where the gaps in your knowledge exist. Sharing these thoughts with your mentor is a great way to ensure you use your time together in a way that is the most helpful to your evolution as a yoga teacher. Make a physical list and check in with it regularly to see how you are progressing. Just as continuing to learn from someone is is a fantastic way to continue your evolution as a yoga teacher, sharing your knowledge, wisdom, and experience with others can help you also. Whether you offer this guidance in a professional and structured way, or you have a more casual mentor relationship with a small selection of people, being a mentor will encourage you to maintain your own practice and always be committed to being the best that you can be. Mentoring also doesn't have to be seen as an ongoing action. When you answer a question pout to you by a student, or help another yoga teacher through something that are struggling with, then you are acting as a mentor! Working with other yoga teachers is arguably just as important as having ongoing guidance from your mentor. When you collaborate with other teachers you will be giving yourself opportunities to come up with new ideas, as well as to hear the thoughts and ideas of other teachers. You can get super creative with your collaborations, and you will likely find new students are drawn to you as you reach new audiences with each event. The events that you create with other yoga teachers are also generally fantastic networking opportunities and just great fun! 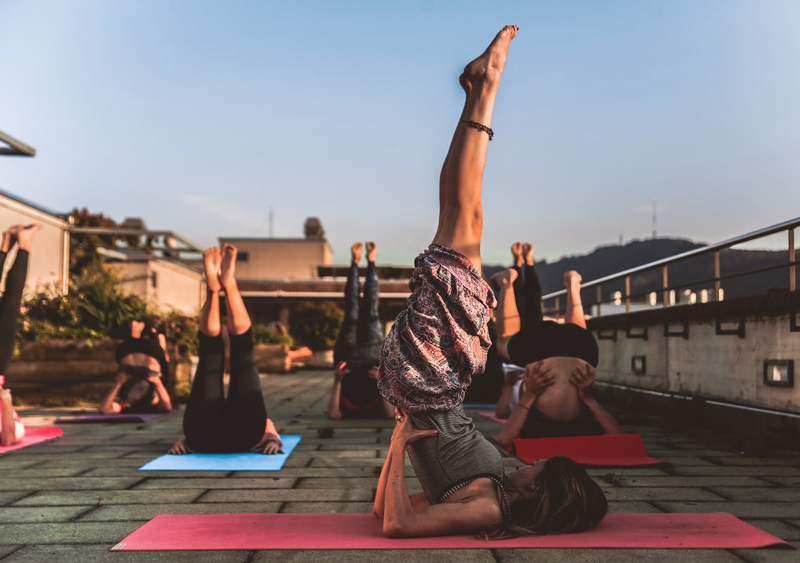 As I mention regularly on my blog, keeping up your own yoga practice can often be difficult when you are working as a yoga teacher – especially if this is your full-time job! Keeping up your own yoga practice is not only important for your evolution as a teacher, but also for your physical health and emotional well-being. A good way to combine this point with the first point of getting to know your students, is to take lessons yourself in the studio at which you teach. This will further help you to get connected to the local community and to genuinely get to know the other people at the studio. You may also find that you build relationships with other yoga teachers in this way, which can then result in collaboration opportunities! 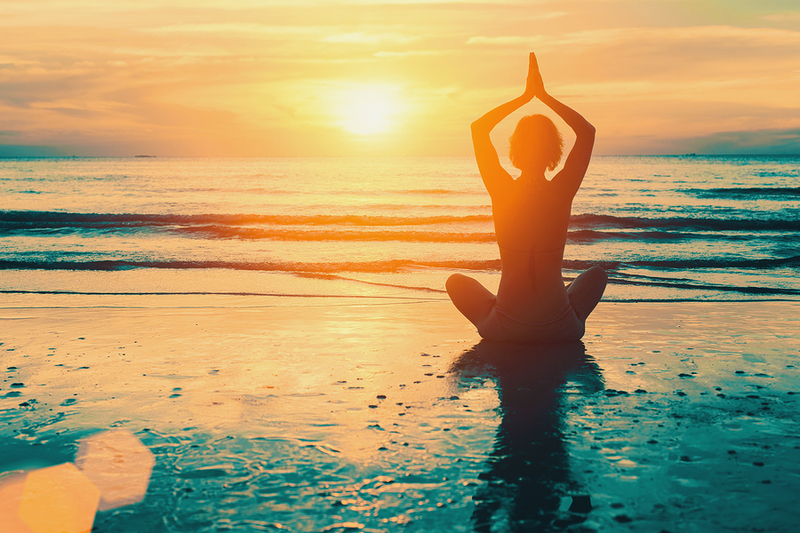 Getting into the flow of teaching regular yoga classes is something that will eventually come quite naturally to you. You will inevitably find your rhythm as a yoga teacher, and this will feed into your confidence and talent. However, hosting workshops is an entirely different ball game! Each workshop will generally be different and will require a lot of time, attention, energy and planning. A workshop will usually be longer than a regular yoga class, and will require teaching in depth about your chosen topic. This means that you will have to enhance your expertise on this topic to the level that you are completely confident to teach it. When you are ready to create your first workshop then check out my advice for new yoga teachers! Weight Control and Your Body!